← Goodbye 12, Hello Lucky 13! Proprietary SECRETS: What’s A Mama To Do? The ingredient list reads: sugar, stevia, natural flavor. Okay. 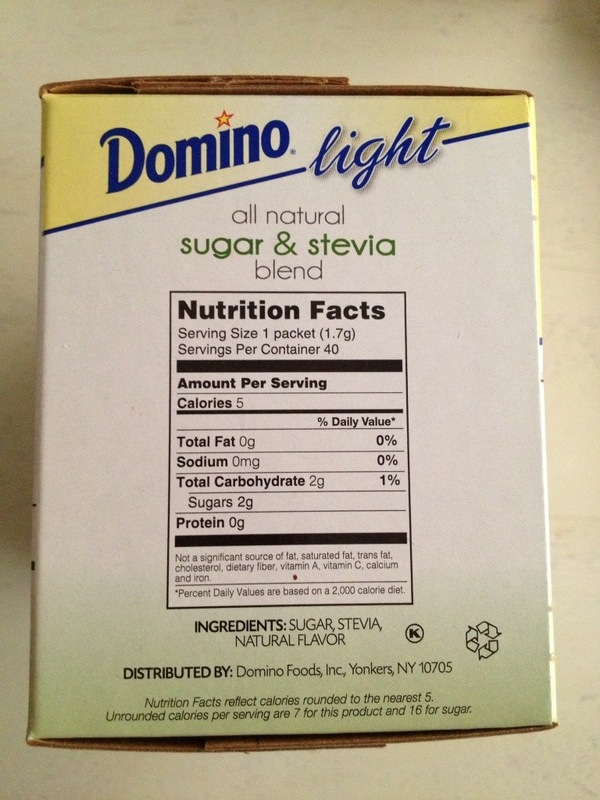 It’s packets of a sugar/stevia blend that I’m attempting to use in my coffee each morning to save some calories while still ENJOYING my coffee. What the heck is this natural flavor and why is it in there? My thinking: Isn’t it sugar (which is sweet) and stevia (which is also sweet) and aren’t I adding it to stuff like coffee and tea? Why is there an additional natural flavor involved? Of course, I have 1,238 other things I NEED to be doing while the littles are at school, but I can’t stop thinking about this mysterious natural flavor. So, I called the 800 number. It’s a BIG FAT SECRET! And don’t get me started on that label’s last line which explains that they LIED about the calorie content! It’s rounded down to the nearest 5? What?! Can I do that when people ask me my age? Or my weight? Sheesh! Have you ever tasted straight Stevia? It has a weird taste, so I think Domino’s secret sauce is something to fool the tongue. With “unscented” products very often “masking fragrances” are added to make them smell unscented and “natural”. But I think it is wrong to fool Mother Nature…’cause she is a powerful gal and can bite you in the buttski! Use HONEY, but get it from a local beekeeper because Honey from China and other foreign countries has, in many documented cases, been cut with corn syrup. Wow! Yeah that’s what I figured, Jan. And I think honey may be the way to go… And he scary to think it is being cut with corn syrup! Sad… We are slowly killing each other, aren’t we?